Hide this Dealer (KRISH MULTISERVICES)Discover properties by other dealers by hiding those whom you have already spoken to. You won't see them in your searches further but you can unhide anytime later. Hide this Dealer (JD Consulting)Discover properties by other dealers by hiding those whom you have already spoken to. You won't see them in your searches further but you can unhide anytime later. Hide this Dealer (Shaan Investor)Discover properties by other dealers by hiding those whom you have already spoken to. You won't see them in your searches further but you can unhide anytime later. Hide this Dealer (A B Invest Homz Pvt Ltd)Discover properties by other dealers by hiding those whom you have already spoken to. You won't see them in your searches further but you can unhide anytime later. Hide this Dealer (Agarwal Associates (promoters) Ltd)Discover properties by other dealers by hiding those whom you have already spoken to. You won't see them in your searches further but you can unhide anytime later. Aditya Celebrity Homes is developed by Aditya Associates cozily wrapped up in a world of its own. Located in Sector-76, Noida close to work and every convenience yet the project is insulated from the city's bustle, it brings back the charm of the days when a house was truly a place to come home to. The meticulously planned society has 1BHK, 2BHK, 2.5BHK, 3BHK, 3.5BHK and 4BHK apartments and promises to make life more enjoyable, while yet being tucked away in a tranquil universe of its own. Come and discover a home that distresses you completely. What is the location of Aditya Celebrity Homes?The location of the project is Sector-76, Noida. 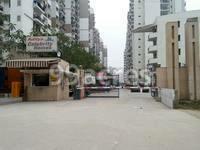 What is the area of apartments in Aditya Celebrity Homes? The area of apartments offered in the project ranges from 550.0 sqft to 2186.0 sqft. What is 1 bedroom size in Aditya Celebrity Homes? The size of a 1BHK unit in the project is 550.0 sqft. What is total area of 2 bhk in Aditya Celebrity Homes? The area of 2BHK units in the project varies from 1110.0 sqft to 1220.0 sqft. What is the area of 3 bhk in Aditya Celebrity Homes? Three-room units (3BHK) in the project are available in an area of 1445.0 sqft to 1650.0 sqft. What is size of 4 bhk in Aditya Celebrity Homes? 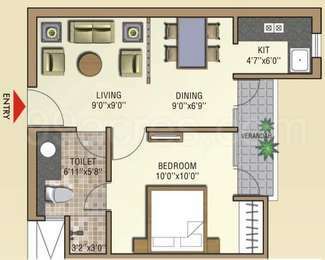 The area of 4 BHK apartments is 2186.0 sqft. Does the project have any senior-citizen friendly amenities? How much is the open area here? Husain sahab, I have seen the brochure of the project, the developer has claimed to deliver only basic amenities and does not have any specific facilities like sitout space yoga/meditation area, etc. except lifts. So, if availability of such amenities are of a major concern to you, you may have a look at other options like Prateek Wisteria, JM Orchid, Elite Homz, etc. Moreover, the project boasts of 80 percent of open area. So, it is advisable to confirm the exact status of availability of amenities at the time of site visit from the existing residents. How much a 2BHK apartment in Aditya Celebrity Homes is going to cost me these days? Is it good for end-use? Amar ji, Aditya Celebrity homes is situated in sector 76 Noida which is a developing residential node in Noida close to Noida-Greater Noida expressway. The area boasts of all facilities like schools, colleges, hospitals, temples, parks, markets, malls, banks and ATMs in proximity. Public and private transport is easily available and the nearest metro station to the project is Wave City centre which is approximately 5 Km in distance. Moroever, there is also a metro station proposed in the area along with Medanta Medicity hospital and will be around 500 metres away. In fact, neighbouring destinations like sector 50 , 75, sector 18 including Greater Noida and Delhi are easily connected with internal road as well as FNG Expressway, DND Flyway and Noida Greater Noida Expressway. Hi Amar, Aditya Celebrity Homes is a ready to move in project and a 2BHK apartment here starts with Rs 52 lakh and the units are equipped with amenities such as lifts, swimming pool, play area for kids, 24x7 security, power backup, garden, parking, amphitheatre, etc. If you are interested in making a purchase here, you can get in touch with a property consultant who deals in Noida or have a look at the available properties for sale at property portals like 99acres.